Protesters demonstrate against the G20 summit in Hamburg. From here on we are bringing you updates from the G20 summit in Hamburg. ReutersThe attempted military coup in Turkey could hamper the United States in its war against Islamic State in Syria and undermine other U.S. goals in the Middle East by weakening democracy and sparking prolonged instability in the NATO pact’s only Muslim member. 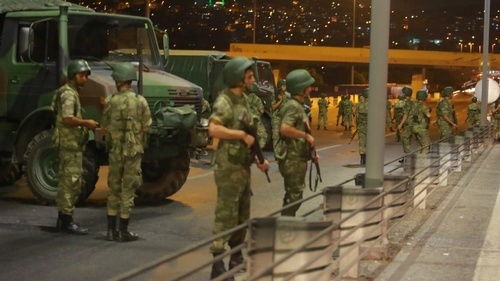 ISTANBUL - The attempted coup by a section of Turkey's military was an act of treason and is a reason to "clean up" the armed forces, Turkish President Tayyip Erdogan said on early on Saturday, hours after the armed forces attempted to overthow him. 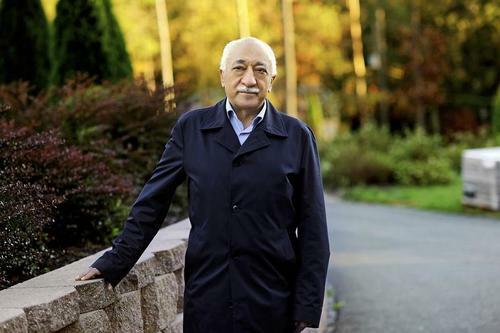 Erodgan also said in comments broadcast live on private station NTV that the attempted coup was the work of followers of U.S.-based cleric Fethullah Gulen, a cleric Erdogan has long accused of attempting to use his followers in the judiciary and military to overthrow the government. 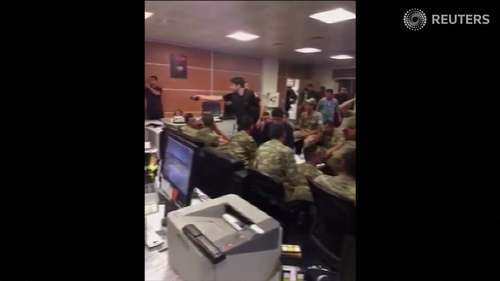 CNN Turkey anchor says she's being taken off the air by soldiers entering the studio. Live. And it's off. 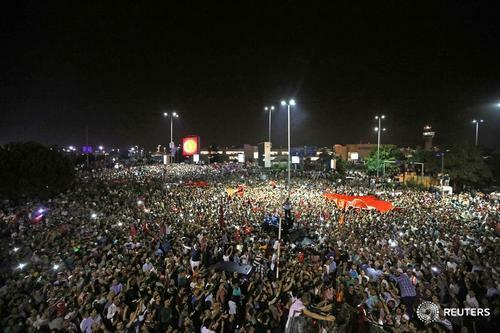 The Turkish government is blaming the coup on Fethullah Gulen, a cleric who was a one-time ally of President Tayyip Erdogan. 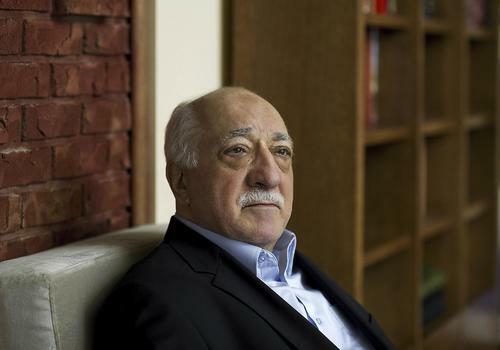 In 2013, Turkish law enforcement officials believed to be loyal to Gulen brought corruption charges against Erdogan loyalists. Erdogan responded by purging officials who were part of the investigation. Since then, Erdogan has been cracking down on journalists and media outlets critical of the Turkish government. One of Erdogan's favorite targets is Gulen. Member of Turkish parliament reached by phone tells Reuters lawmakers hiding in shelters at parliament. Embattled Turkish president Tayyip Erdogan addresses the nation through a FaceTime video connection as a coup threatens to topple the government. Diane Hodges reports. ANKARA, July 16. /TASS/. Turkish Prime Minister Binali Yildirim said Turkey imposed a no-fly zone over Turkish airspace. "The airspace is closed. Any aircraft will be shot down from the ground," he told NTV channel. Turkish fighter jets shot down a military helicopter over the capital Ankara that was being used by plotters attempting a coup, broadcaster NTV said on Saturday. 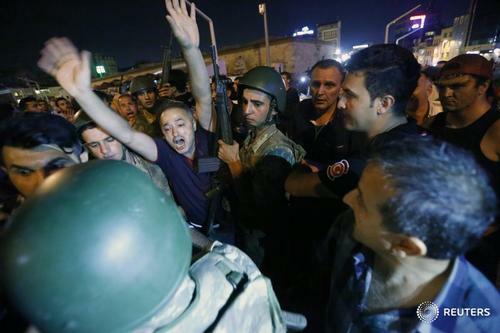 Separately, Turkey's state-run Anadolu news agency said 17 police were killed at special forces headquarters in Ankara. Reuters was not immediately able to confirm that report. 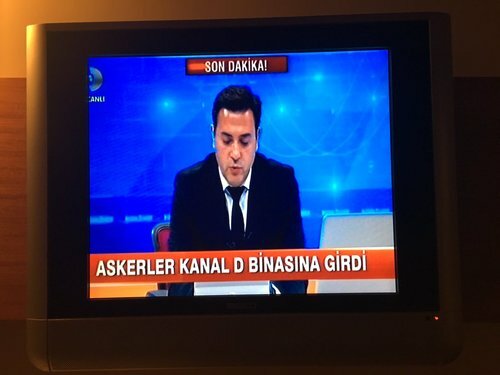 ISTANBUL - Turkish state broadcaster TRT resumed broadcasting on Saturday after going off air during what officials said was an attempted coup by a faction within the military, with its staff describing being taken hostage by the plotters. 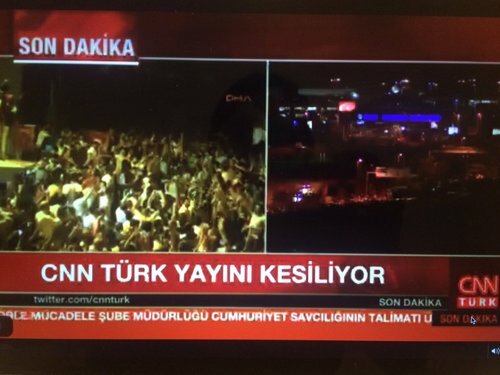 Reuters TVTurkey has been put under martial law as an attempted coup continues into the late evening. SOFIA - Bulgaria bolstered its patrols on the Bulgarian-Turkish border and appealed to Bulgarians to restrain from travelling to the country's southern neighbour, the government press office said in a statement. Prime Minister Boiko Borisov held talks with the security and intelligence services on the situation in Turkey, where the government has said a military coup attempt is under way. 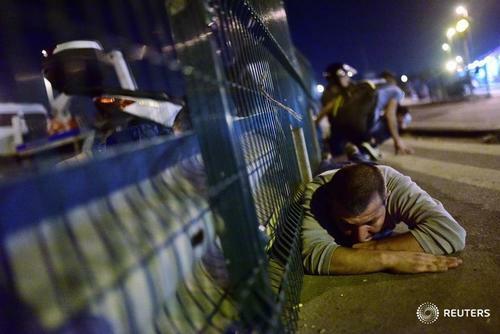 The Foreign Ministry advised all Bulgarians already in Turkey to stay indoors and avoid any public places. 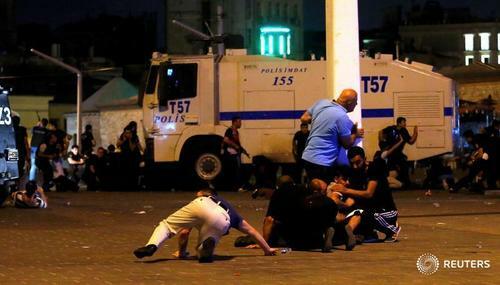 WASHINGTON, July 15 (Xinhua) -- The U.S. State Department on Friday advised its citizens in Turkey shelter in place and not attempt to go to the U.S. Embassy or consulates amid an ongoing military coup. "Continue to shelter in place in Turkey. Do not attempt to go to US Embassy or Consulates at this time," the State Department said in an message for U.S. citizens in Turkey via its Twitter account. It urged U.S. citizens in Turkey to contact loved ones directly "to let them know if you're okay," it said in another tweet. "Use email/SMS/telephone if social media blocked," it said. The U.S. Embassy in Ankara has informed U.S. citizens that "shots fired and explosions have been heard in Ankara and both bridges in Istanbul, the Bosphorous and Fatih Sultan Mehmet, are now closed," the State Department said in an Emergency Message for U.S. Citizens about the "Turkey Uprising" on its twitter account. It also asked U.S. citizens to monitor local press for updates, avoid areas of conflict, and exercise caution if being in the vicinity of any military or security forces. Earlier, U.S. President Barack Obama received briefings from his national security aides on the ongoing situation in Turkey, a NATO ally and part of the U.S. coalition in fighting the terror group Islamic State. "The president's national security team has apprised him of the unfolding situation in Turkey. The president will continue to receive regular updates," said National Security Council spokesman Ned Price in a tweet. 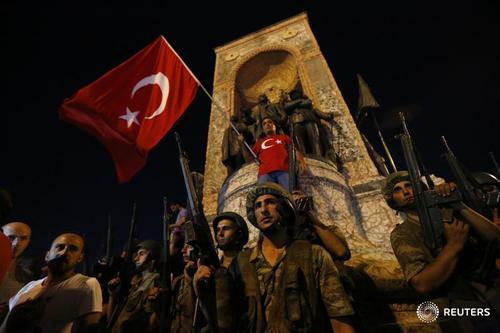 A military statement issued on Turkish media said Friday the Turkish armed forces have fully seized power in the country but President Recep Tayyip Erdogan said early Saturday that the coup attempt has failed, urging people to take to the streets to protect democracy. 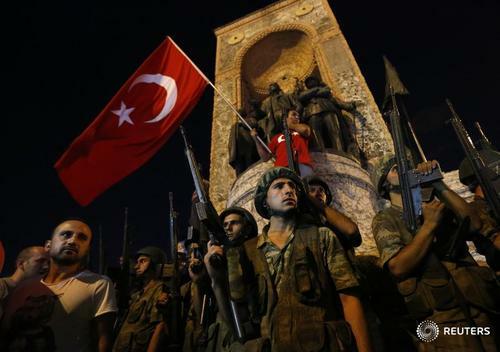 Access was restricted in Turkey on Friday to Facebook Inc (FB.O), Twitter Inc and Alphabet Inc's YouTube shortly after news that a military coup was under way, according to two internet monitoring groups. 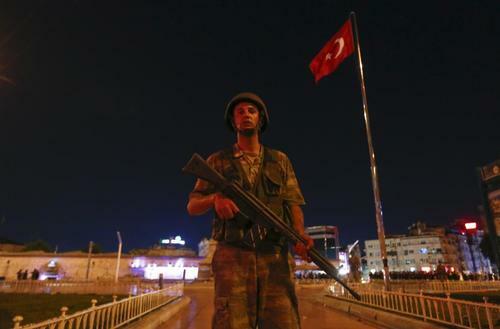 Turkey's military said on Friday it had seized power, but the prime minister said the attempted coup would be put down. The government normally implements its internet restrictions through orders to Turkey's main internet service providers. 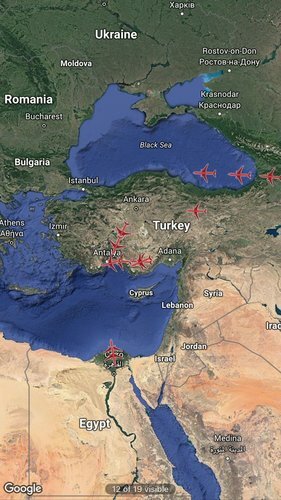 Flights to Turkey diverted and departures from Istanbul's Ataturk Airport were cancelled as a coup attempt unfolded in the country on Friday and Turkey's military said it had seized power. A Reuters witness in Istanbul, citing a pilot, said all upcoming flights from the Istanbul airport had been canceled. Flight tracking website FlightAware.com so far listed 33 canceled departures for Friday and Saturday. A British Airways light to Istanbul diverted to Sofia, Bulgaria, and a Lufthansa flight to Istanbul returned to its origin in Frankfurt, company spokeswomen told Reuters. The U.S. Federal Aviation Administration said all U.S.-inbound flights from Istanbul that were in the air prior to the airport's closing would be allowed to land in the United States as planned. Turkish Airlines and other carriers did not immediately comment. 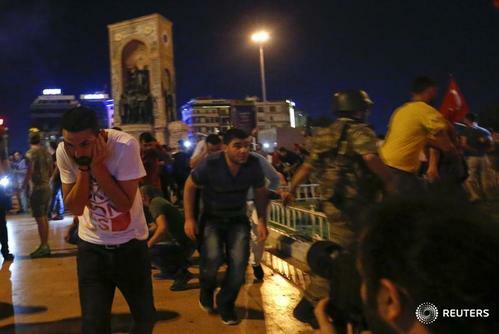 Turkey's prime minister said the attempted coup would be put down. President Tayyip Erdogan has ruled Turkey since 2003, and Turkey is one of the most important U.S. allies in the region. This was the latest shock to tourism in Turkey, which has taken a hit from a number of bombings this year, including a suicide attack in June that killed 45 people at Istanbul's main airport.